Fed up with the kids claiming they never saw your note asking them to tidy their rooms? 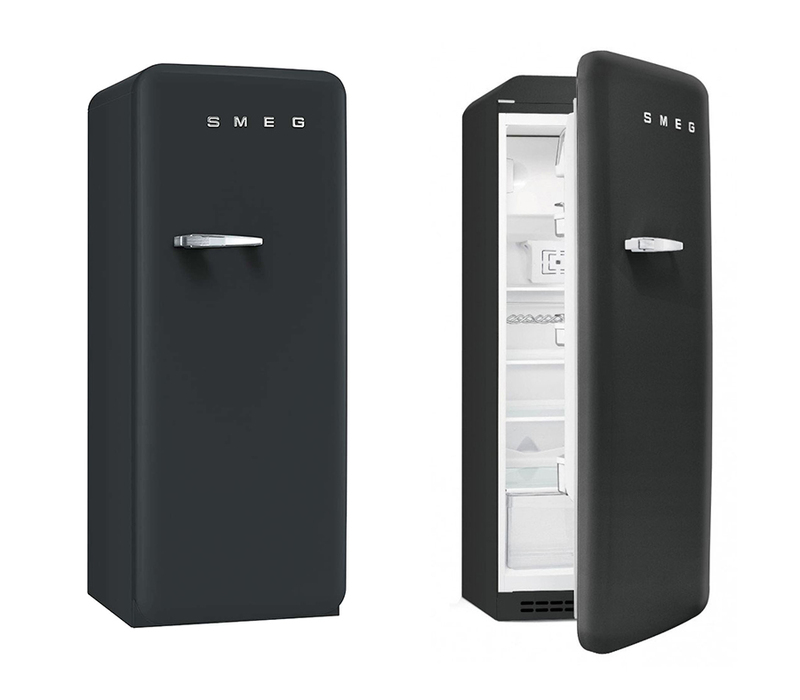 Well there’s no excuses now with this chalkboard fridge from SMEG. Works like a real blackboard. Hate chopping fresh herbs? Well this nifty kitchen gadget can help. 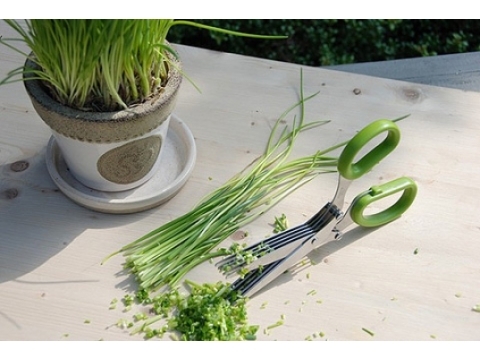 Herb scissors come with 5 blades which means you can finely chop coriander, parsley, and basil in just a single snip. Always arguing with your other half about whether green or black tea is best? 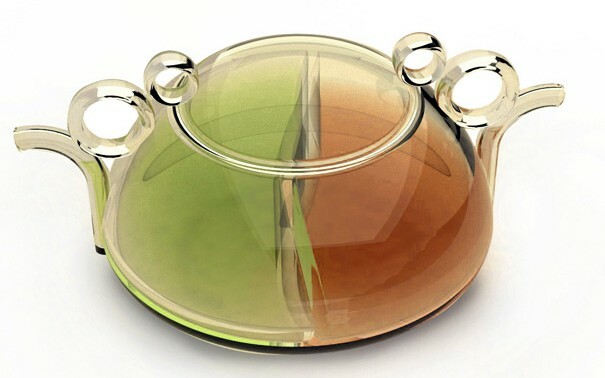 Well now you can have both with this segregated teapot that allows you to brew two types of tea at once. Crack a few eggs into the tube-shaped vertical grill, pop in a wooden skewer, and within minutes you’ve got yourself an omelette log on a stick. You never knew you wanted it until now! 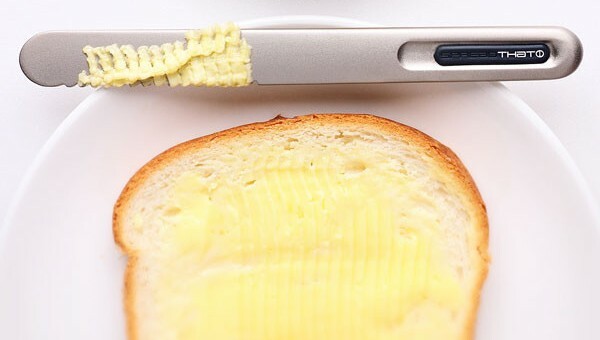 There’ll be no more holes in your bread from trying to spread hard butter with this self-heating butter knife which conducts body heat from the handle to the blade in just 20 seconds. Get a jumpstart on your day by controlling your coffee maker from your smartphone while you’re in bed, and enjoy a nice warm cup of rich, creamy coffee as soon as you get up. 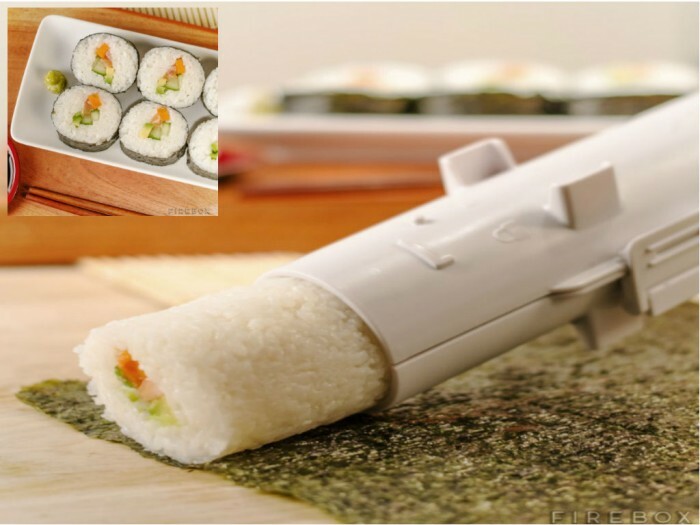 If your yanagiba skills aren’t quite up to scratch, you can still make mouthwatering sushi with the Sushi Bazooka, which does all the hard work for you. Just add your ingredients et voila! 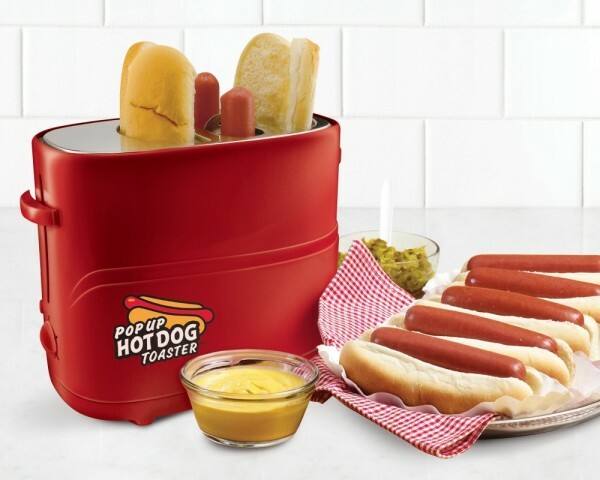 Have a craving for cinema-style hot dogs? 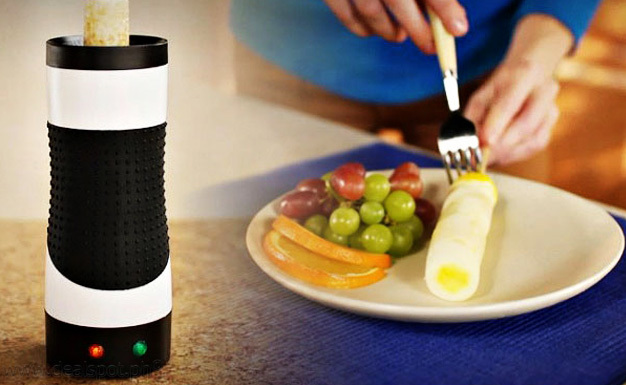 Well now you can make them in your own home with this cool kitchen gadget. What’s even better is that it even toasts your buns at the same time!